Manchester has undergone a complete transformation over the past 10 to 15 years and is currently the strongest UK property market outside London, with the highest rental yields of up to 6.02%, according to a latest report by a property investment firm. Emerging as the North of England’s cultural and entertainment hub, many tech companies are now relocating to this thriving metropolis boosting its economy and pushing up population by 26% with employment forecasted to increase by a further 4.3% over the next five years. Manchester is also becoming a tourism hotspot for travelers from the Middle East. 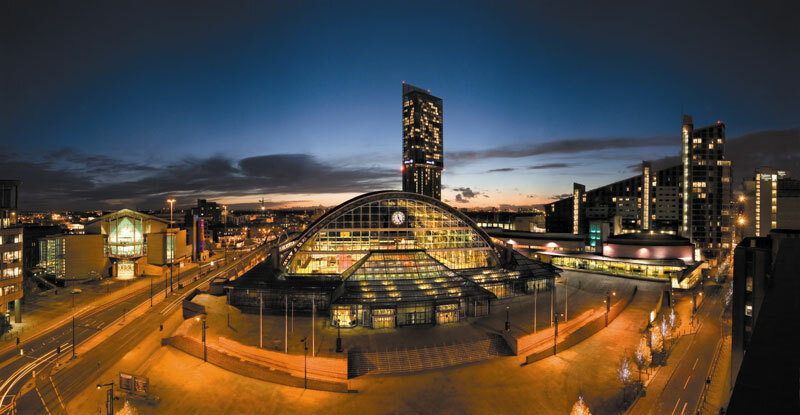 The city has seen a 33% rise in visitor levels between 2011 and 2015, with travelers from the United Arab Emirates alone contributing worth over £18 million to Manchester’s economy, underlining its growing profile as an inviting destination for wealthy holidaymakers. Along with significant amounts of investment poured in, the Northern Powerhouse vision has already created more than 8,000 new jobs over the past four years with a commitment for another 850,000, by 2050. Following Prime Minister Theresa May’s August 2017 confirmation that she will press ahead with former Chancellor, George Osborne’s, plans to boost infrastructure and assign power to the city, Manchester is seen as a safe haven for property investment and presents an increasingly attractive proposition to both overseas and domestic buyers. Ronald Garrett, Director of Sales at Alliance Investments says “This significant growth in Manchester’s economy will continue to fuel the lively residential market where demand from the 2.5million-strong population already significantly outweighs supply. Alliance Investments, global sales division of 27 year Property Alliance Group has a diverse portfolio of luxury and affordable residential apartments in the heart of Manchester’s booming city centre.